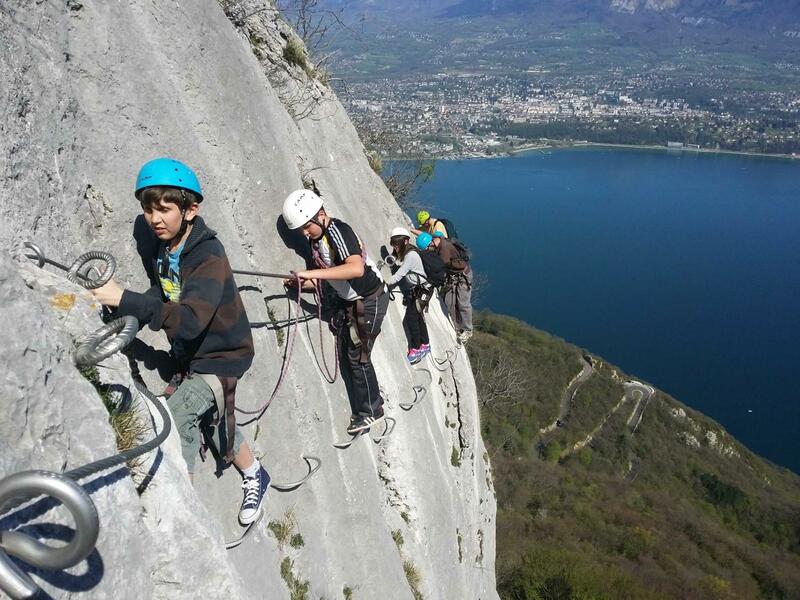 Some examples of our Via Ferrata, adapted to the associations. 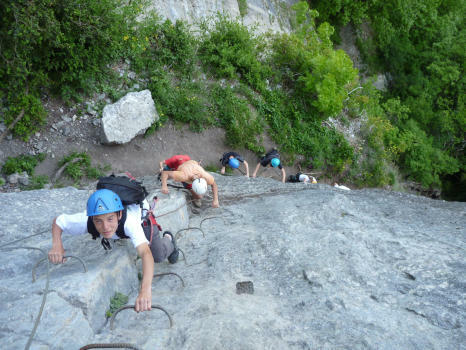 Via ferrata "Les ¨Prises de la Bastille" with a first part of initiation and a second part a little harder for the more courageous. 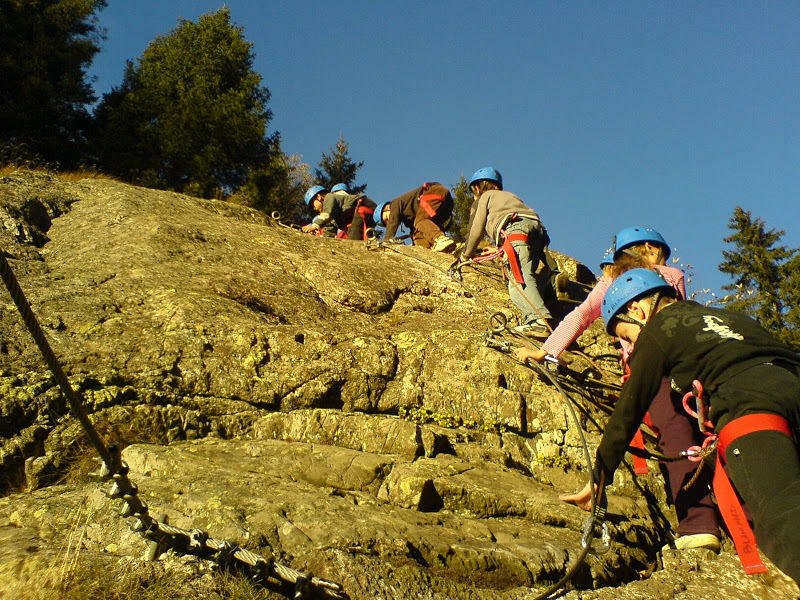 Possibility for all to walk to the summit by the trail. 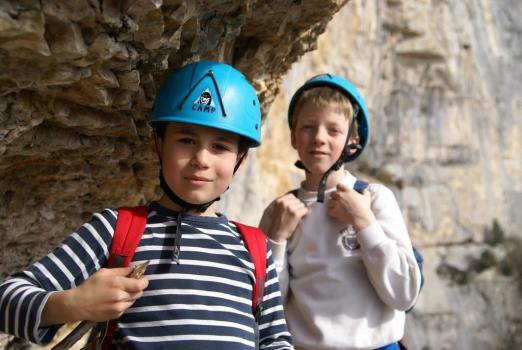 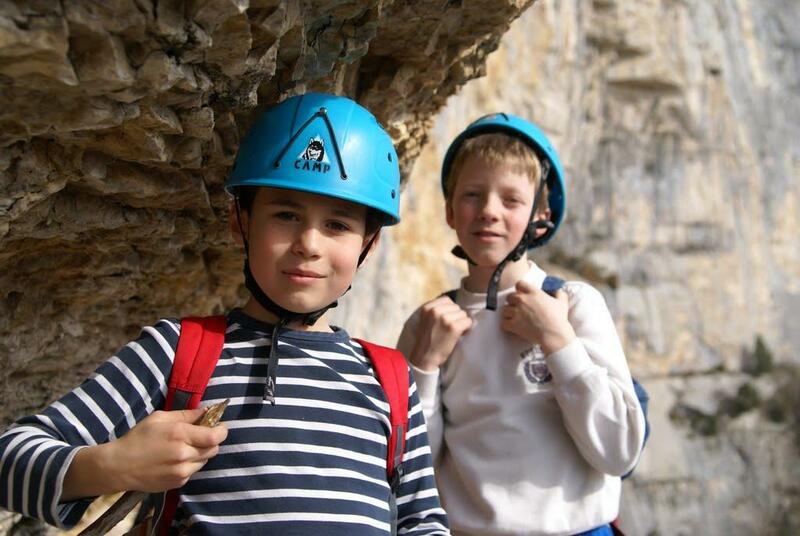 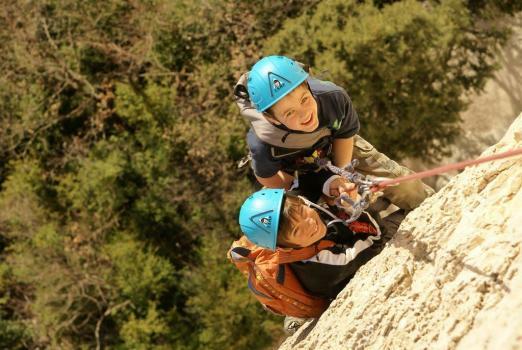 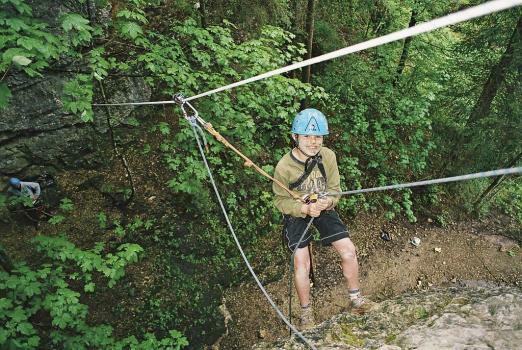 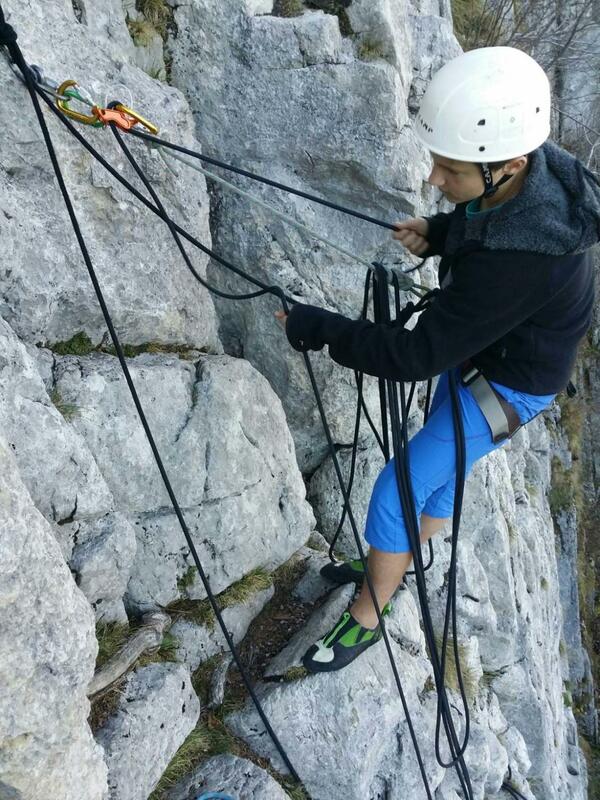 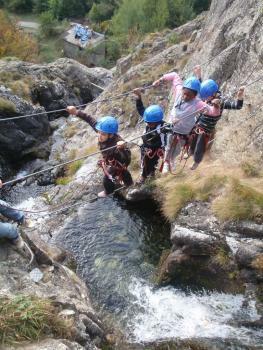 Via ferrata created for children and teenagers by Prism's society. 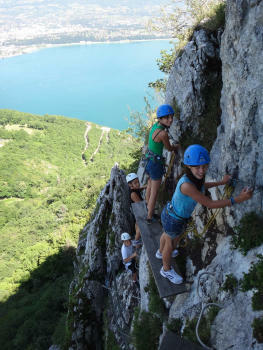 Without physical difficulty in this via ferrata, beautiful aerial passage with a view on Bourget lake! Several routes are possible in this Via ferrata depending on the age and level of everyone ! 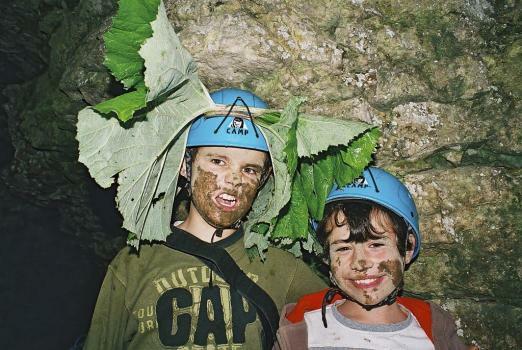 Our caving trip for communities. 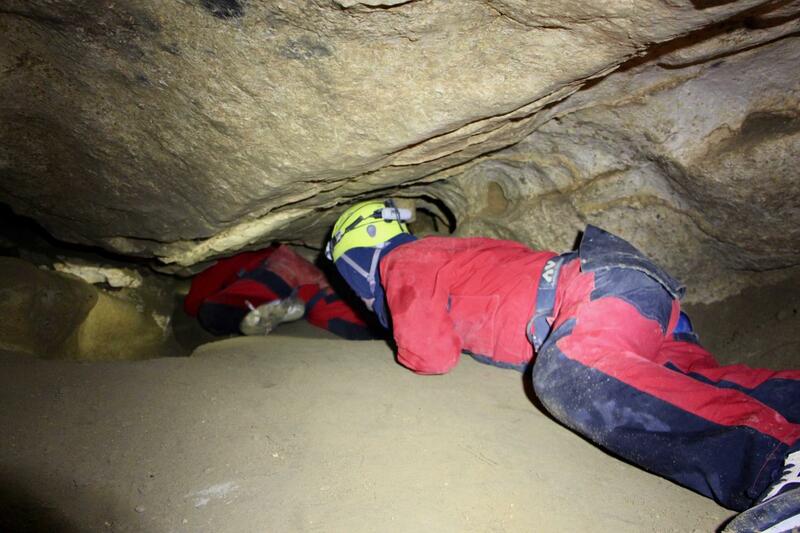 Some examples of our sorties caving , adapted to the associations. In Chartreuse, it's a small operation adapted to an initiation from 7 years. 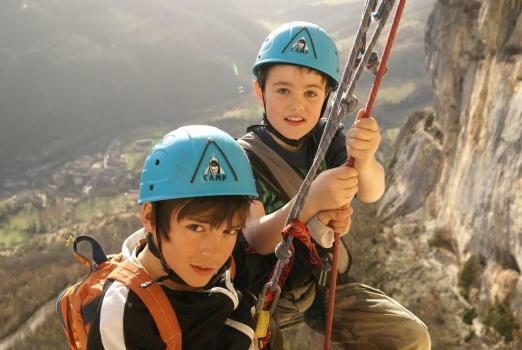 Some examples of our courses Via Cordata, adapted to the associations. The Itinerary which strides the vires of Choranche and finishes by a descending on rope (assured by the guide) of 40m! Next to the old ski jump Olympic. A real little edge race who dominates Grenoble and their surrounding area. 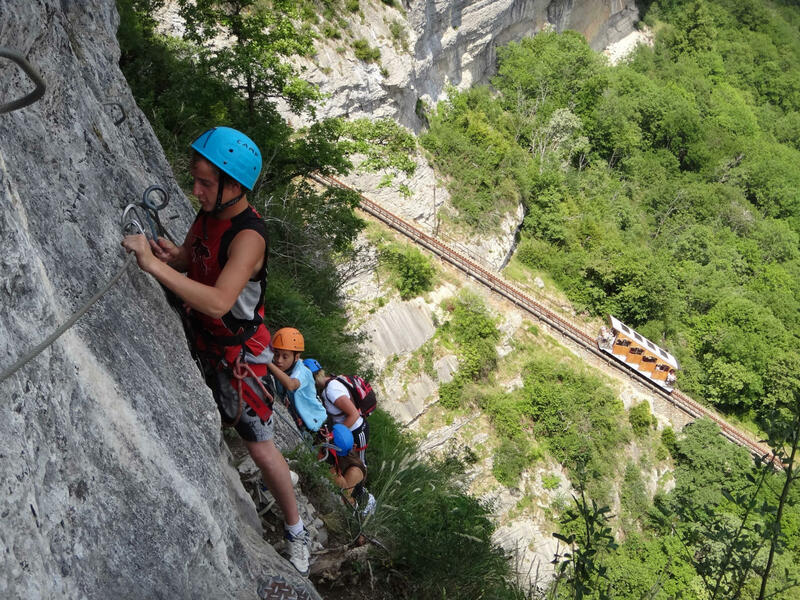 Above Sassenage, in the Vercors, the course of Engins is ideal for a half day with the cliffs of the Furon gorges. 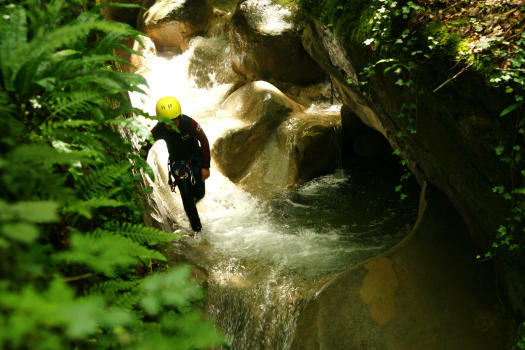 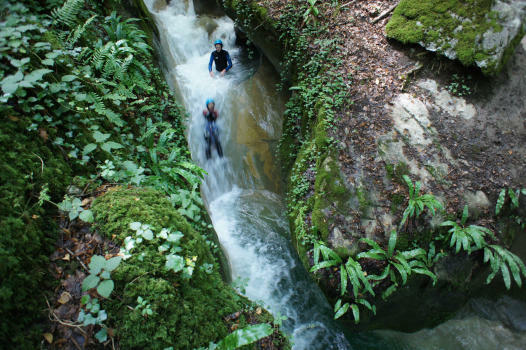 Some examples of our Canyoning, adapted to the associations. 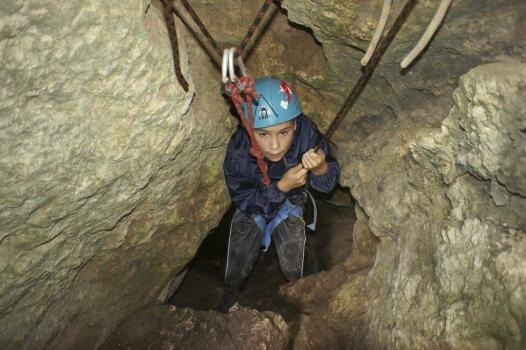 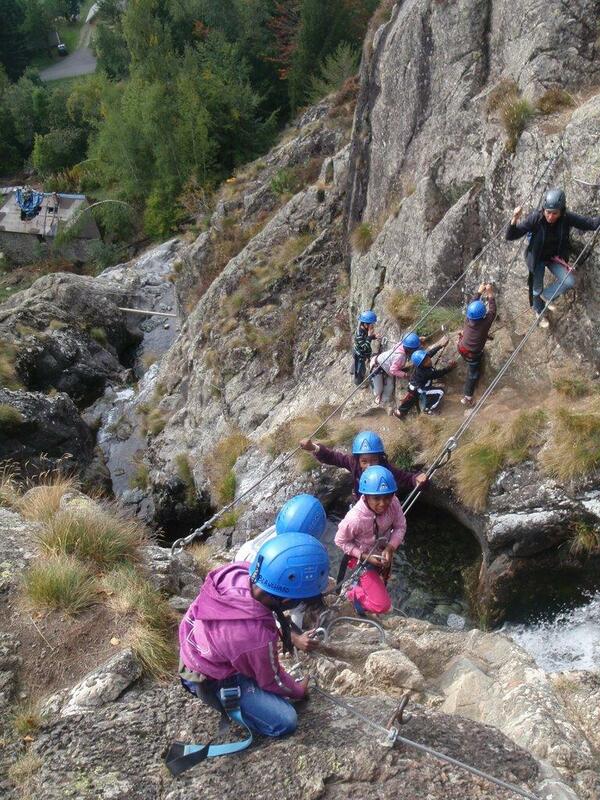 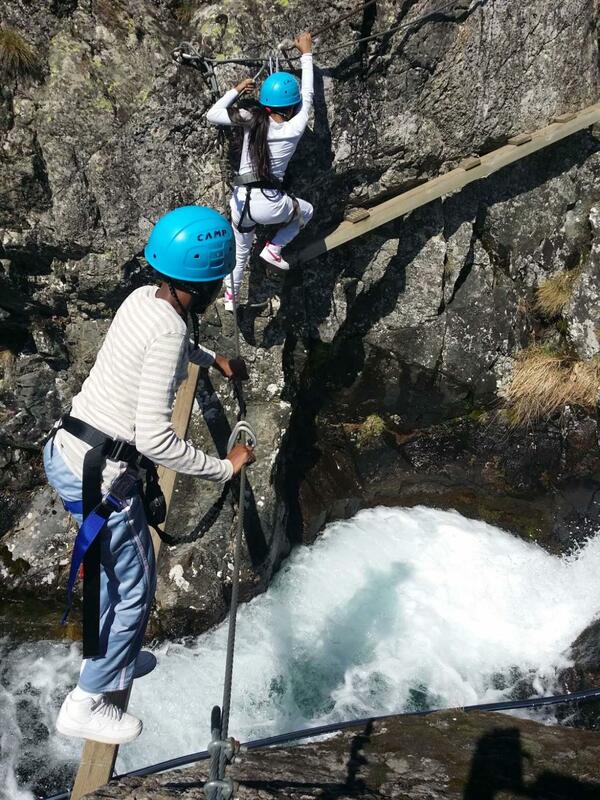 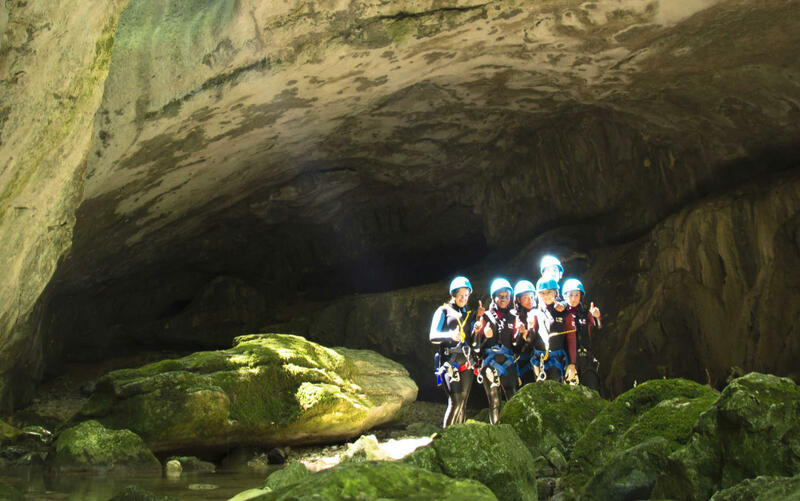 To discover a canyoning with your minor children, from 8 years. Challenging small obstacles who will make a very good initiation for the teenagers in canyoning.